Posted by Toby Van de Velde on February 1, 2019. 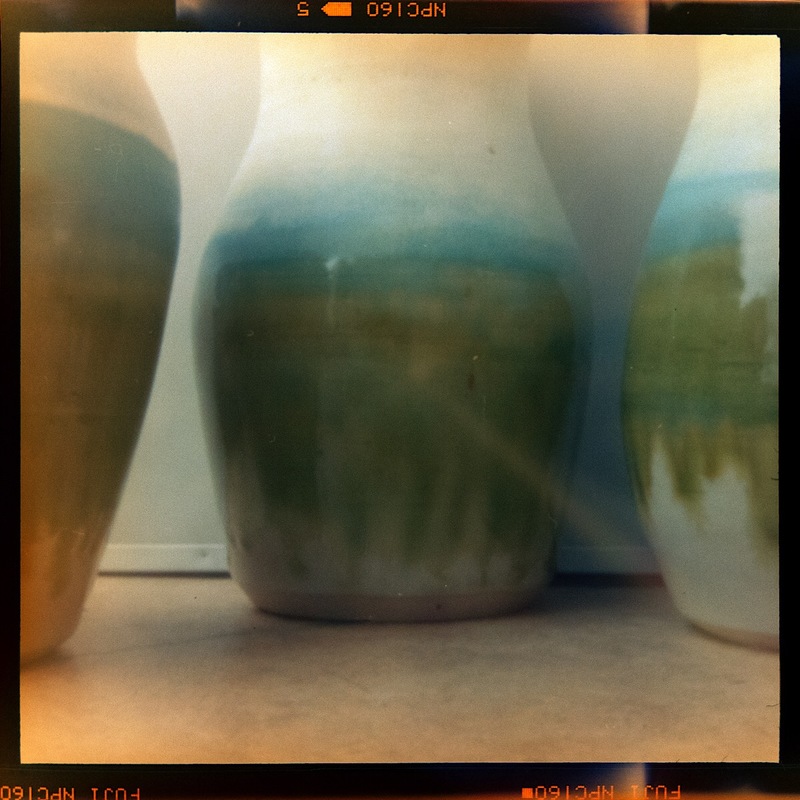 These vases were made by my Wife, Melanie Made Mud a while ago. The blues and greens represent skies and fields. This was a quick still life I took with the AgiPinFold last month. The first in a short series featuring the pinhole work I’ve been doing with the camera recently.